So when it comes to decorating for the holidays I am really big on décor being versatile. It needs to speak of you and it also needs to have a purpose after the event. 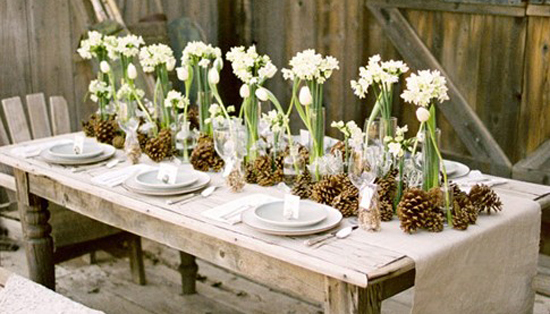 in these busy time who what to completely redo everything with the change of every holiday or event. So I thought I would share with you some of my go to items at the holiday times that are also fabulous for everyday. 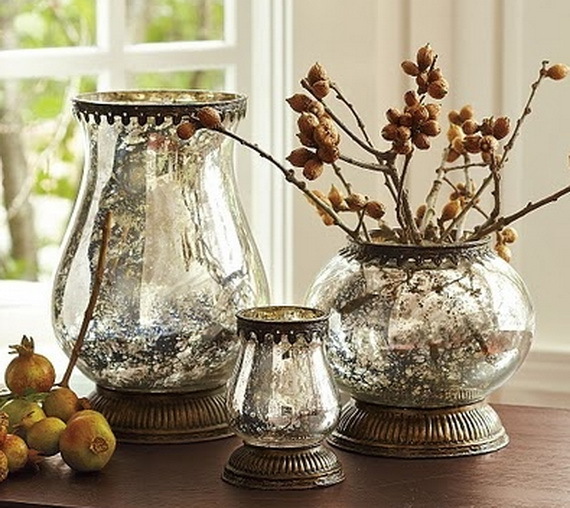 Mercury glass vases are perfect for soft touches that can be perfect for holidays and everyday. 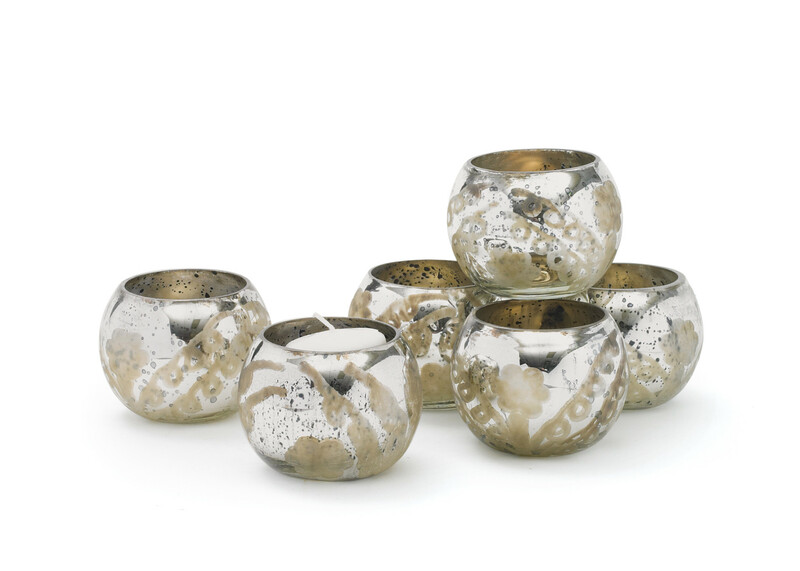 Who doesn’t love candles and these mercury glass votive candle holders are just the right touch any time of year. 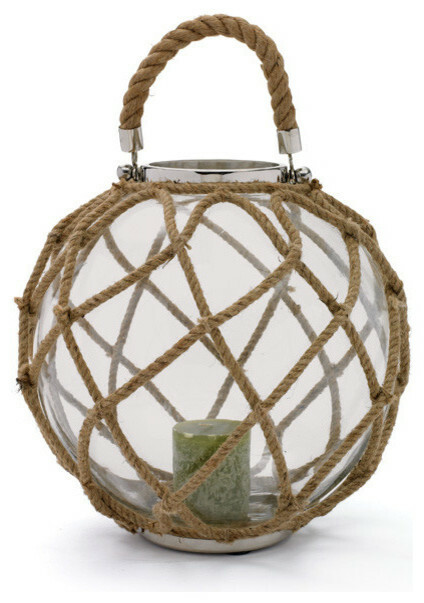 How much fun is this beach inspired candle holder. 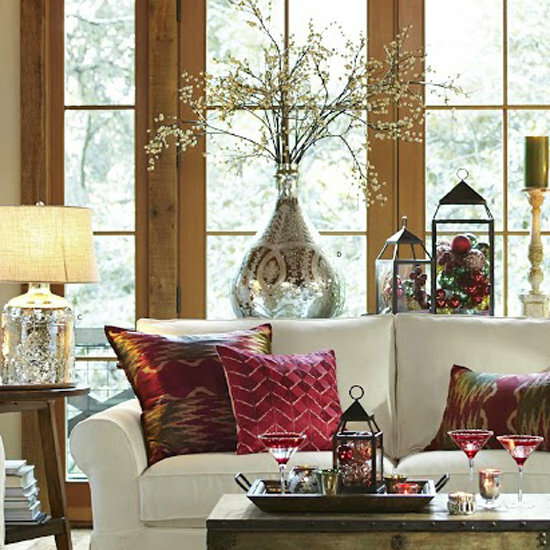 Change up the candle and other elements and you can go from everyday to holiday. Who says holiday is traditional colors. 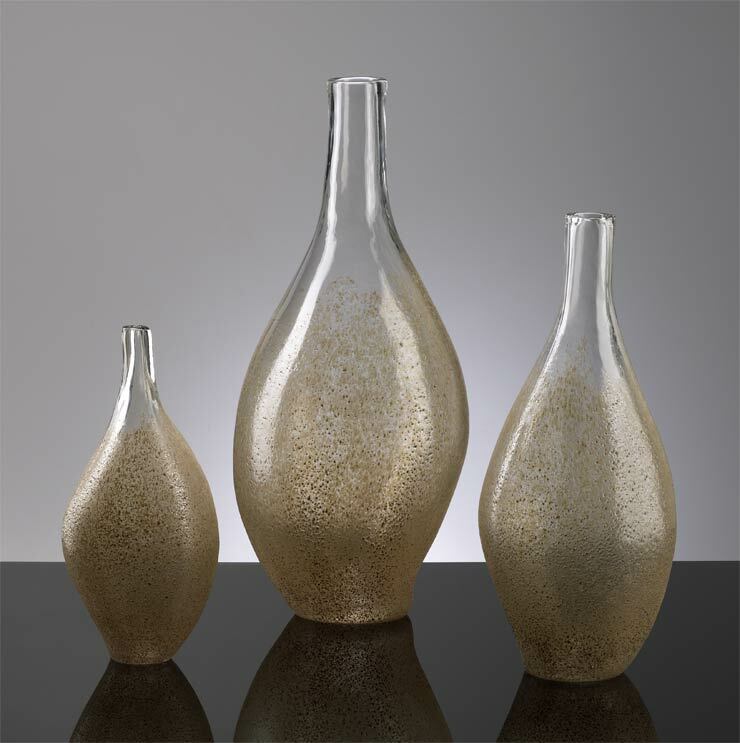 The right elements added to these great vases will make any home feel festive. Who says Hurricanes are just for storms? 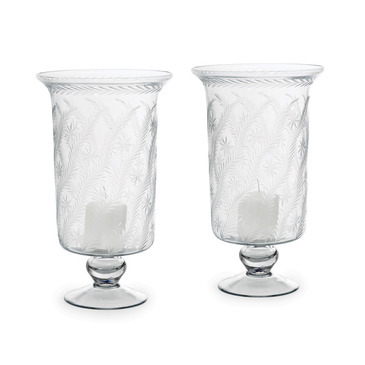 The right glass hurricane candle holders are perfect for all occasions. 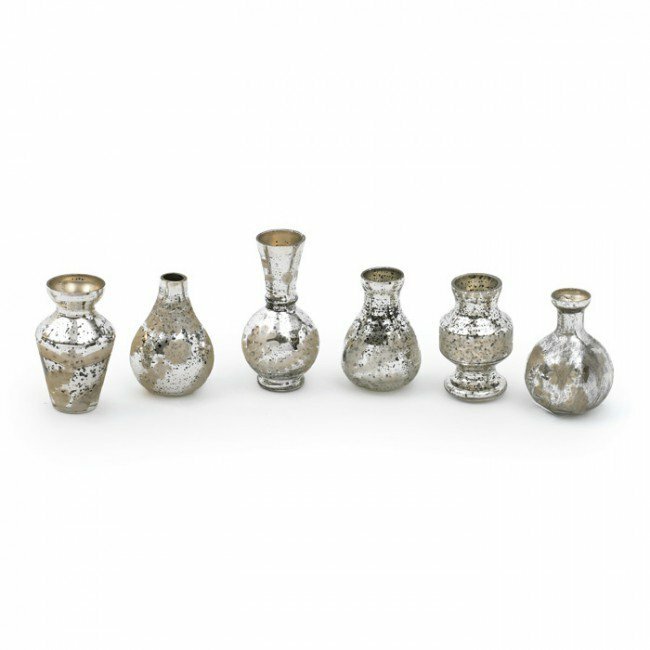 Mercury glass, mercury glass, mercury glass. 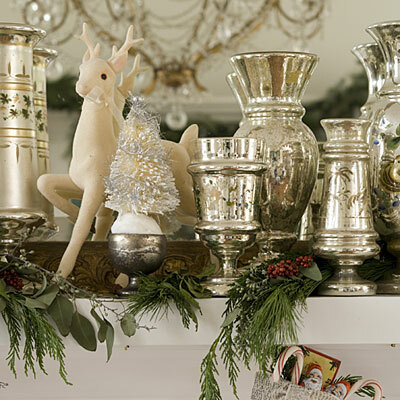 What can I say it is classic and these bud vases go anywhere and at the same time sing holidays. 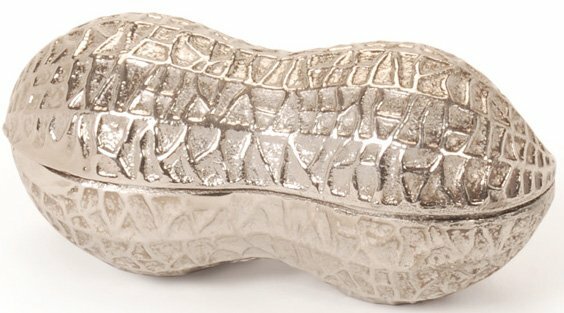 Silver anything can be made into a holiday décor item and this peanut is no different. 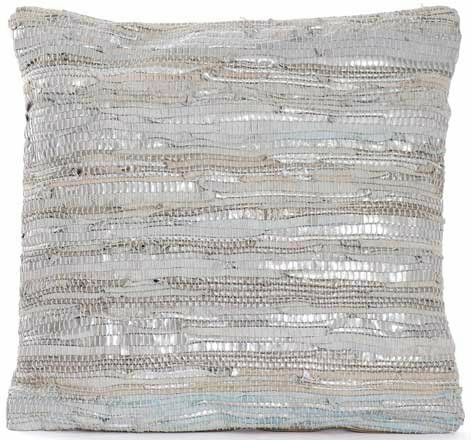 You can never have too many pillows and these have just the right amount of shimmer. What can I say, it’s all about the right pillows. 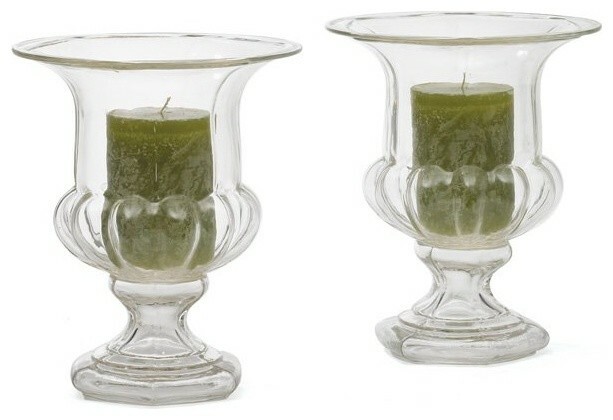 Taller hurricanes that are just super elegant and speak to any décor. 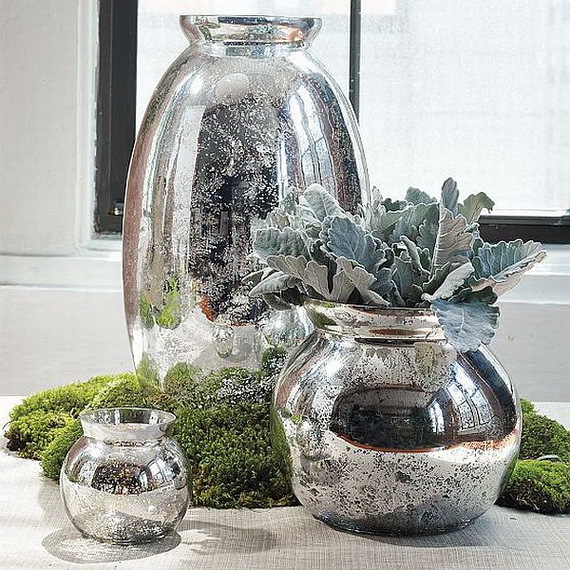 You can’t have a finished décor without some greenery. 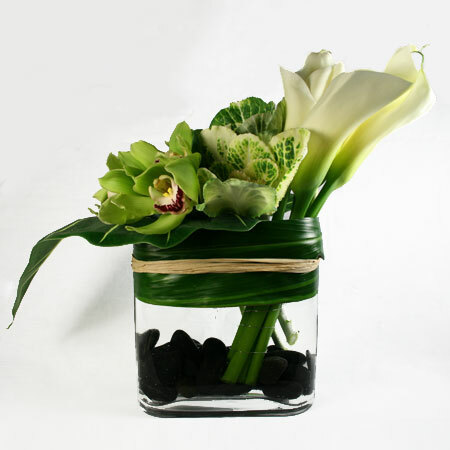 I love calla lilies for their elegance and versatility. 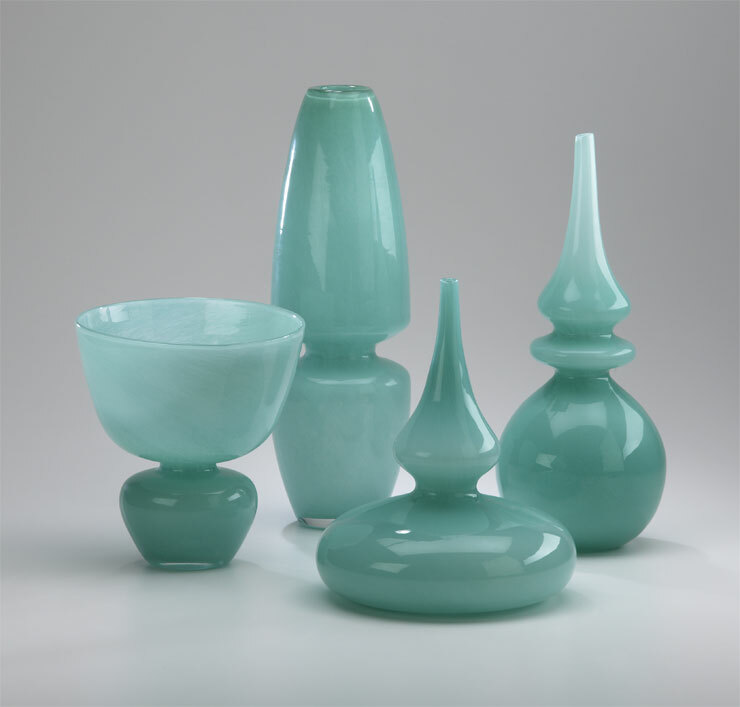 Take the great neutral vase and add your own touches of color for the season. 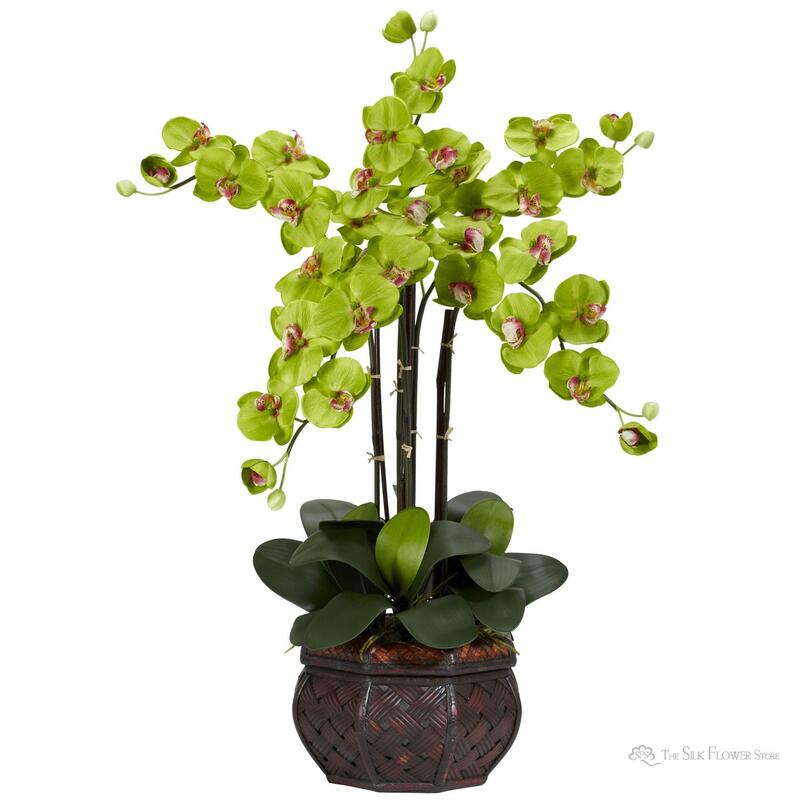 Orchids are always the perfect go to all year round. 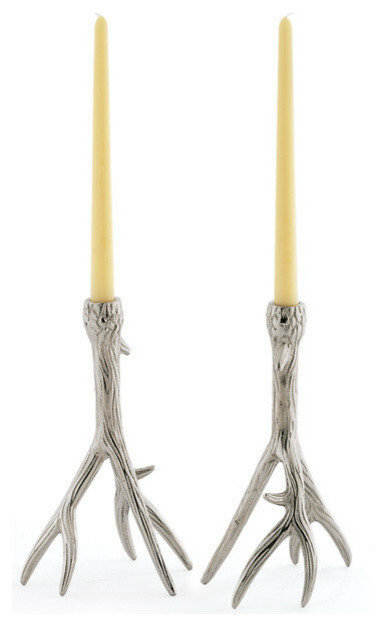 Candle sticks are another great go to for all year round and all you need to change are the pillars. 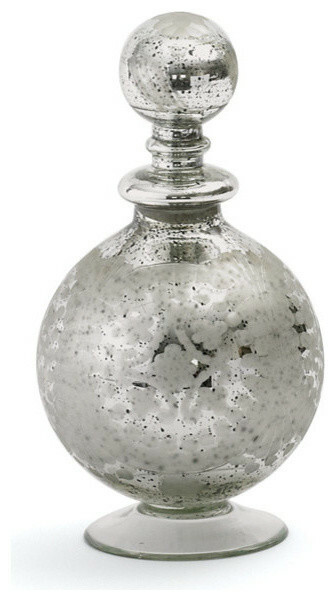 There isn’t a vanity or buffet that doesn’t look great with this mercury glass decanter/perfume bottle. Are you getting the idea? Go for great classic items and then adapt to you. 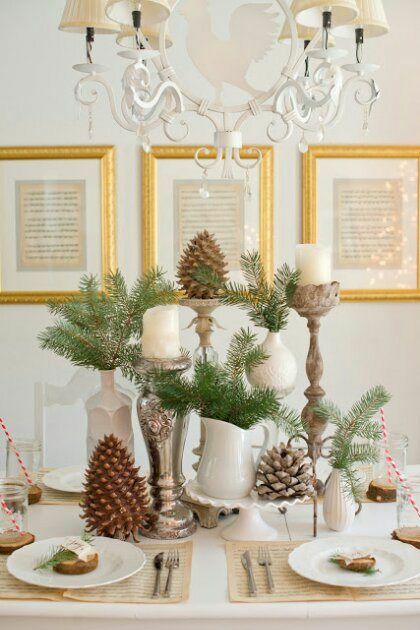 Want to see some ways these items can be used around the holidays? So are you excited? Go classic, be you and have fun. 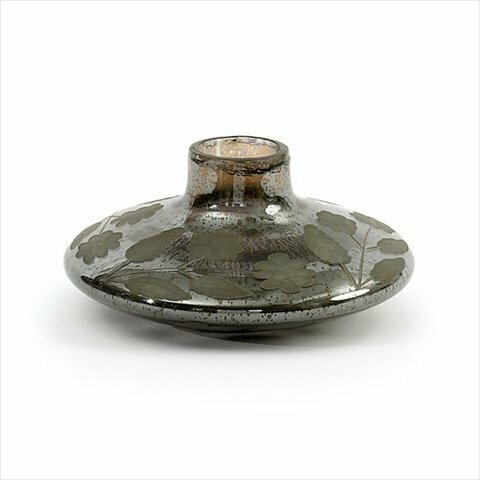 Don’t know where to find an item you see here give us a call or send an email. 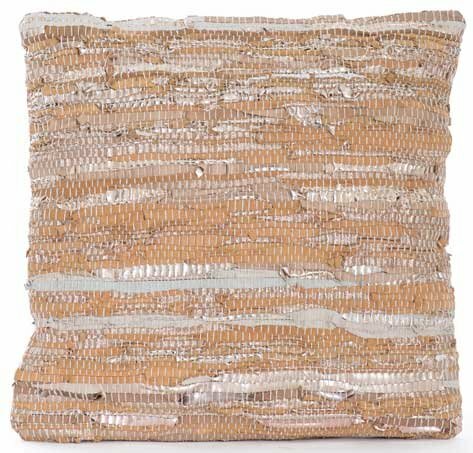 We have many of these items in the showroom and can ship anywhere!